Yesterday, I wrote about a “crocus” that seemed to bloom in fall, not spring. Here’s another seemingly out-of-season bloomer that’s also doing exactly what it’s meant to do. 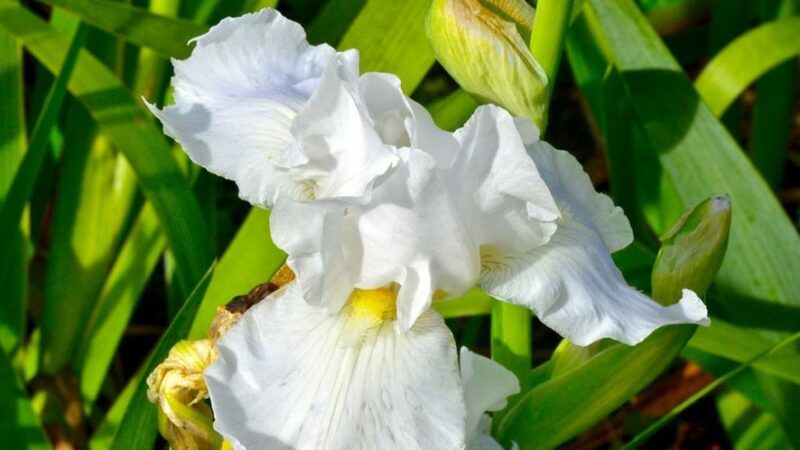 It’s the re-blooming, tall bearded Iris germanica ‘Immortality’ that puts out its main show in June, then returns for an encore performance in fall. This one was showing its stuff at the Toronto Botanical Garden in mid-October 2016. 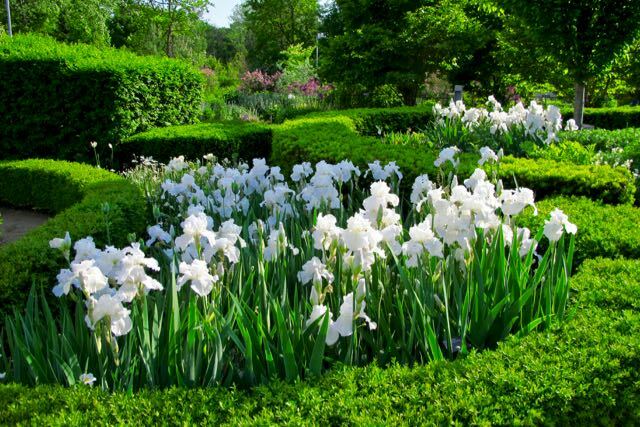 Irises always seem to take up a lot of space in a garden, all for a flower (an admittedly fabulous one) that seems to be over in an instant. 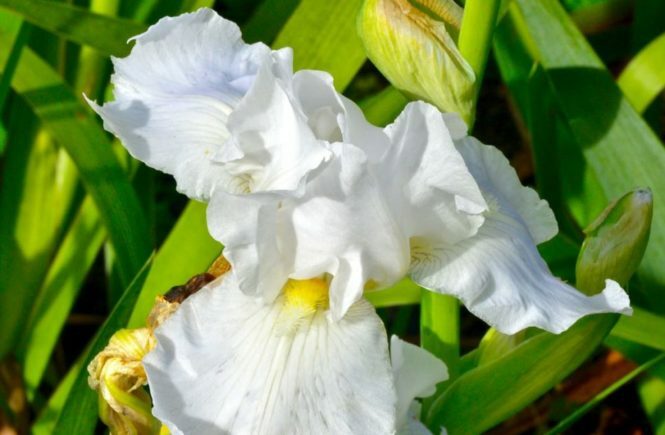 Iris ‘Immortality’ is one that does a double shift in the same spot. Who wouldn’t want that? 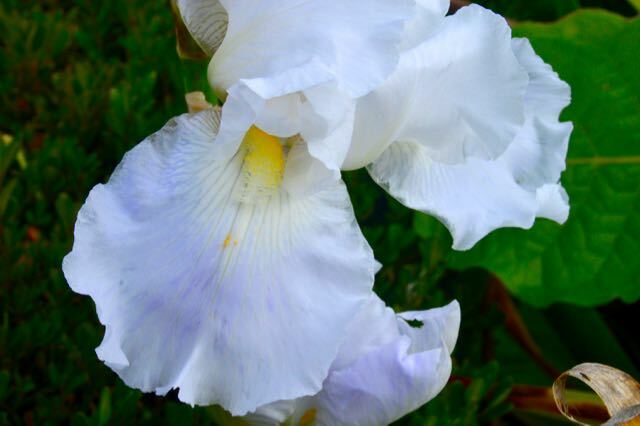 A closer look at this lovely, pure white beauty with its golden beard. 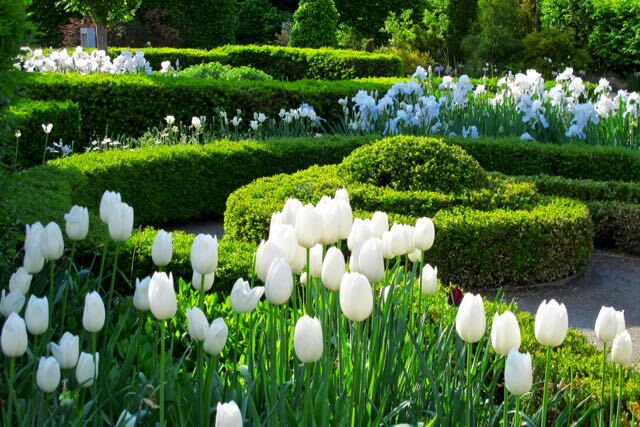 Updating this post to add two pictures of the Toronto Botanical Garden’s knot garden from June 2014, planted with masses of ‘Immortality’ iris and white tulips. Gorgeous. My rhododendron has pushed out a few blossoms this fall. I’m not sure what to think about that. I have seen rhodos push out off-season blooms from time to time. Not the general rule, but not unusual. 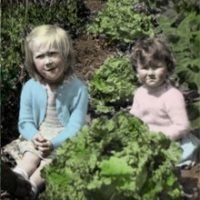 All is probably well with your plant. It’s likely 2016’s wacky weather that is at fault. Don’t touch the hosta, dahling! Helen on So, where can you find exotic vegetable seed?